Homespun Stitchworks..... For the love of vintage: Bokhara Couching Video Tutorial ..... Stitch of the week! 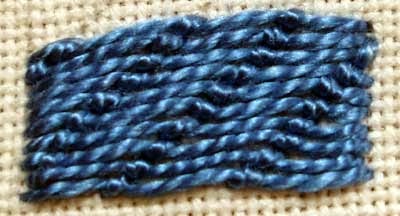 Bokhara Couching Video Tutorial ..... Stitch of the week! This weeks stitch of the week is Bokhara Couching! and is brought to you by the lovely Mary Corbet. I can imagine this as a border on a child top or skirt .... or stitched on a piece of vintage linen and added to a pillow... Anyway make a warm drink and enjoy! I hope you are having a great Easter .. Happy Stitching!